Automate InDesign's output with hot folders Output Factory Server is a powerful output workflow automation solution for Adobe InDesign, which automates printing and exporting by processing files from watched hot folders. Output Factory Server offloads output from InDesign to a central system leaving operator stations free from the output process. Print and export InDesign documents automatically from watched hot folders. Output Factory Server is intended to run on a dedicated workstation and serve unlimited number of users via hot folders on a network. 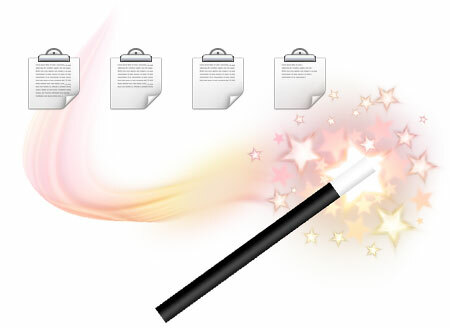 Create hot folders for various workflows such as hi-res PDF, laser printer, EPUB etc. Users can submit single files or collected jobs and books. Fonts will be auto-activated if needed. Export InDesign documents as single pages. Update links automatically. Output files invisibly, accelerating the output dramatically. These are only a few of available options to streamline and simplify your everyday production workflow. Output Factory offers unmatched abilities to create variable output file names. Compose file names interactively using powerful tokens with unlimited name parts. You can even insert dynamic content from your documents using the script label variable. Output InDesign layers and their combinations as separate files automatically – an indispensable feature for multilingual documents publishing and other projects with layered contents. With Output Factory, output errors are a thing of the past. Thoroughly check files using InDesign's built-in preflight or Output Factory's own options, and define conditions for skipping files. Errors will be stored in the History with their detailed description. Output Factory can also automatically check final PDFs using Acrobat Pro's preflight droplets, increasing your confidence in the final output even further. Output Factory Server can send automatic e-mail notifications based on powerful variable templates. Notifications can be triggered by errors and other events. Send output files to FTP, Amazon S3 and other servers or by email via seamless integration with Deliver and Deliver Express. Leawo Video Converter Pro for Mac 75% Off Now! The world’s best combined and fasted Video Converter software and DVD Ripper software for Mac users! For most people, especially movie fans, watching movies on Mac computer is not an easy task as Mac computer gets quite few media player software apps to play movies in various formats. For example, if you want to play WMV movies or RMVB movies on QuickTime, you might get stuck for the format incompatibility. Leawo Video Converter Pro for Mac offers the best solution for Mac movie fans to handle the format incompatibility issues. Leawo Video Converter Pro for Mac includes almost all media converting solutions for Mac users. It offers comprehensive solutions for Mac users who want to handle DVD, video and audio conversions on their Mac computer (including the latest Mavericks). This 3-in-1 media converter suite could act as Mac video converter, Mac DVD converter and Mac audio converter. It could help Mac movie fans convert DVD/video to videos in multiple formats, and get audios out of DVD/video/audio for multiple audio players in lossless quality. Also, 3 bonus functions make it more popular. The built-in Photo Slideshow Maker helps generate slideshow videos from photo collections in one click, the Screen Recorder captures any on-screen activity while the Webcam Recorder records videos with Mac's built-in camera or external webcam. Leawo Video Converter Pro for Mac could convert created photo slideshows and recorded videos to other formats like MP4, AVI, FLV,etc. for multiple uses. Besides, it also features some quite easy to use but powerful user-friendly bonus functions like the video editor, built-in 3D movie converter, subtitles selector and loader, media player, etc. Designed as a professional media converter for Mac OS, Leawo’s Video Converter Pro for Mac offers comprehensive solutions for Mac users to solve format incompatibility issues between video, DVD and audio files. It could convert DVD and SD/HD video to videos in 180+ formats like AVI, MP4, WEBM, RMVB, RM, MPG, MPEG, VOB, MOV, M4V, FLV, F4V, MKV, WMV, 3GP, MTS/M2TS/TS/TP/TRP(AVCHD, H.264, VC-1, MPEG-2 HD), MOD, TOD, DV, ASF, 3G2, DVR-MS, etc., and extract audios off video/DVD and convert audios to save in FLAC, AAC, AC3, AIFF, AMR, M4A, MP2, MP3, OGG, RA, AU, WAV, WMA, MKA, etc. High quality output video and audio files are ensured with advanced technology included. For movie enjoying, subtitles and audio tracks play a very important role in satisfactory movie experience, while Leawo’s Video Converter Pro for Mac allows you to select and retain subtitles and audio tracks from source video and DVD movies for output files. What’s more, for source videos, it could even allow you to load external subtitles for output files. The subtitles, audios and videos are well synchronized in the output files. To let you enjoy movies on multiple media players or popular devices like iPad, iPhone, iPod, Surface, Android devices, Windows devices, etc., this Mac video converter suite offers 180+ profiles, including profiles specified for different devices. You could directly select to convert DVD/video to your own devices, with no worry about the video and audio codec issues. For further controlling of the output files, it offers you the chance to adjust the video and audio parameters of output files according to your target devices. These adjustable parameters include video codec, video size, quality, bit rate, aspect ratio, frame rate, audio codec, channel, etc. Not only for movie enjoying, this Video Converter Pro for Mac is also perfect for people who want to edit DVD/video files in iMovie or FCP, or upload DVD/video to YouTube and blog, but have been blocked by the format incompatibility issues. With this video converter combo, you could realize almost everything on your Mac computer. Featuring a built-in Photo Slideshow Creator, this Video Converter Pro for Mac could help you easily turn your photo collections into photo slideshow videos in one click, and then assist you to edit created photo slideshows, and convert generated photo slideshow videos to other formats like MP4, AVI, FLV, WMV, etc. for uploading to YouTube, editing in iMovie or playing on iPhone, iPad, iPod, Android devices, Microsoft Windows devices, etc. With a Screen Recorder, Leawo Video Converter Pro for Mac allows you to easily record any on-screen activity into MOV videos. You could create game walkthrough or tutorial video for uploading to YouTube or blog for sharing. This Video Converter Pro for Mac also allows you to convert recorded screen activity videos to other formats for diverse uses. Leawo Video Converter Pro for Mac also includes a Webcam Recorder that could record video with Mac's built-in camera or external webcam in MOV format, and then help you convert recorded video to FLV, AVI, MP4, MOV, etc. on Mac for multiple purposes. It even allows you to edit the recorded videos with the internal video editor and add 3D effect via the built-in 2D to 3D converter. Thus you can upload to YouTube, FaceBook or simply play it on your iPad, iPhone, Android device or 3D movie players. The bonus features also make Leawo Video Converter Pro for Mac top others. It includes a simple video editor, with which Mac users could trim video length to get desired clips converted, crop video size to remove black margin, adjust video brightness, contrast, saturation and volume to change video effect, rotate video angle, apply image or text watermark as signature, etc. Meanwhile, the internal 2D to 3D converter could allow Mac users to create 3D movies out of 2D DVD/video files, with 6 different 3D movie effects available: Red/Cyan, Red/Green, Red/Blue, Blue/Yellow, Interleaved and Side by Side. By changing the 3D depth, people could get vivid 3D movies. With a neat and clean program interface, Leawo Video Converter Pro for Mac is quite easy to use. It gets a built-in media player that allows people to play source DVD/video/audio files, preview video editing effects and preview 3D movie effects. Also, it supports batch conversion, quick profile setting via the profile search bar, merging files into one big file for continuous movie enjoying, etc. "This is my first use of this product for "Mac". I have used a similar product for Windows since May, 2011 and it has always functioned properly. I have now gone to the "dark side" and using Mac, so I will write another review in the future to let you know. The trial of this product worked just fine. I would recommend it to anyone. Illustrations are an incredibly valuable resource for any experienced designer. They can be used in package designs, flyers, brochures, wedding invitations, web backgrounds or any other design you can think of, both web and print. We know how much you love them, that’s why he came up with a huge collection of 300 illustrations from Vectorious separated in 4 categories such as floral, spring, summer and Mother’s Day for you to download and use! All these items come with an extended royalty-license, allowing you to use them in an unlimited number of personal or commercial projects. And now you can get them for an incredibly low price of only $25. That’s a huge 98% discount from their original value of $1,200! Take a look at what you get. Click on the images for a full preview of the set. If you liked these illustrations, but aren’t convinced yet, you can download a free sample containing 4 gorgeous illustrations and test them as you want. - All these files are suitable for both Windows and Mac OS – To use these files you need Adobe Illustrator CS+, Adobe Photoshop CS+ or any any other similar application which supports vector formats ? Files are delivered as an instant download (almost 1 GB in 2 zip files) – Files have an extended royalty-license and can be used in an unlimited number of personal or commercial projects ? Reselling, sharing, redistributing and giving away is NOT permitted. Model. Predict. Simulate. Discover. Associate. Gain new Knowledge and Insights from Data. Make Better Decisions Based on Relevant Data. "Lovely maths and algorithms. Nice and simple product. Feel that it can significantly assist me." Insights is the next-generation, self-organizing, predictive modeling app for the Mac. Find unknown relevant relationships in your scientific, business or personal data stored in Excel, for example, by using outstanding, automated knowledge mining methods for prediction, classification, identification or simulation tasks in various fields. Users in nearly any field without being an expert in modeling can analyze data sets and build powerful models, which help to gain new insights into complex phenomena, predict future behavior, simulate "what if" questions, and identify methods of controlling processes. Insights is used for predicting sales, production and demand, engineering problems, climate change, health or life sciences-related questions, or mining collections of data from government agencies. Make your business more smart and be one step ahead your competitors by implementing predictive behavior into your business processes or services. Insights provides cutting-edge self-learning modeling technologies for short- to longer-term forecasting of complex processes such as market prices, market demand, or sales figures and it delivers on the fly analytical model equations that describe the data. 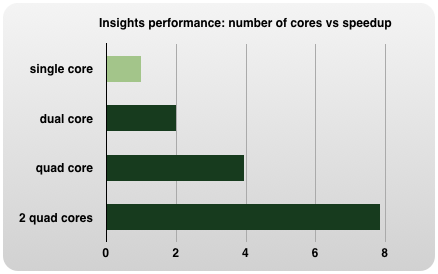 Run simulations on historical data stored in Excel for backtesting, for example, or use it on real-time data for continuous forecasting of processes several steps ahead. All results are optionally reported and stored in Excel for further use. Insights comes with documentation, extra literature, sample data and models. Knowledge extraction from data using Insights' self-organizing modeling technology. Self-organization of optimal complex models from data in Insights along with analytical descriptions in implicit and explicit format. 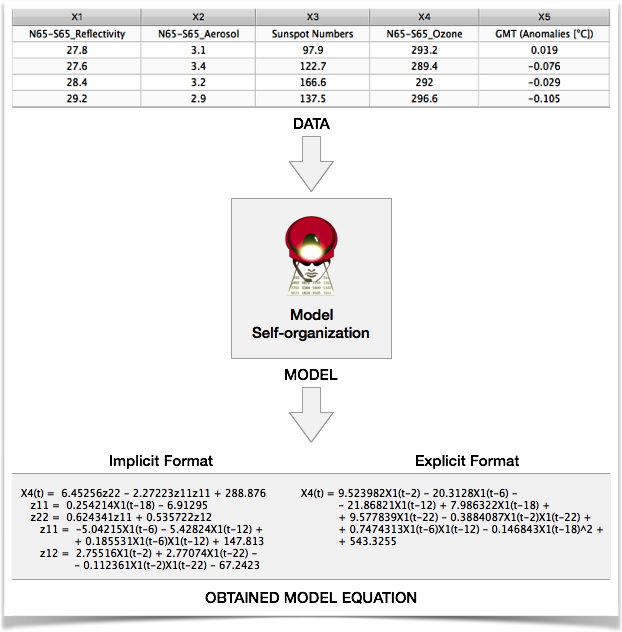 Models developed with Insights can be automatically implemented in Excel for further use or exported as Python, Objective-C, AppleScript or MATLAB source code. Learn more about Insights to get all the details of the content above. 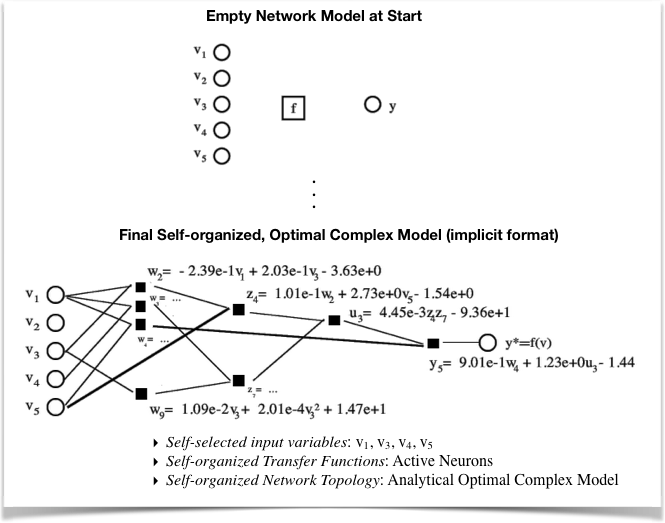 Predict the respective objects can expect over a finite future time span, but also to experiment with models. The ability to continuously make predictions from auto-associative past patterns is the core of human intelligence. Control the objects by finding suitable means to effect the objects and enforce a specific behaviour. There are many cases in practice where it is impossible to create analytical models using classical theoretical systems analysis or common statistical methods since there is incomplete knowledge of the processes involved. Environmental, medical and socio-economic systems are but three examples. In contrast, inductive models obtained by knowledge mining are derived from real physical data and represent the relationships implicit within the system without or with only little knowledge of the physical processes or mechanisms involved. There are a lot of complex problems, which do need decision-making, but the means – the models – for understanding, predicting, simulating, and controlling such systems are missing increasingly, because we only have insufficient knowledge to follow theoretical modeling approaches. A powerful, proven in many applications, and easy-to-use tool that fills this knowledge gap is inductive, self-organizing modeling as implemented in Insights. "Insights is the most advanced implementation of the GMDH approach now. It uses the inductive method, which is different from deductive techniques used commonly for modeling on principle. Many important successful results were received using this tool recently. They show the advantage of it over analogous well-known software." "I like Insights because its algorithm does not make any assumtions on the underlying data; well, at least not during the initial model-building phase. 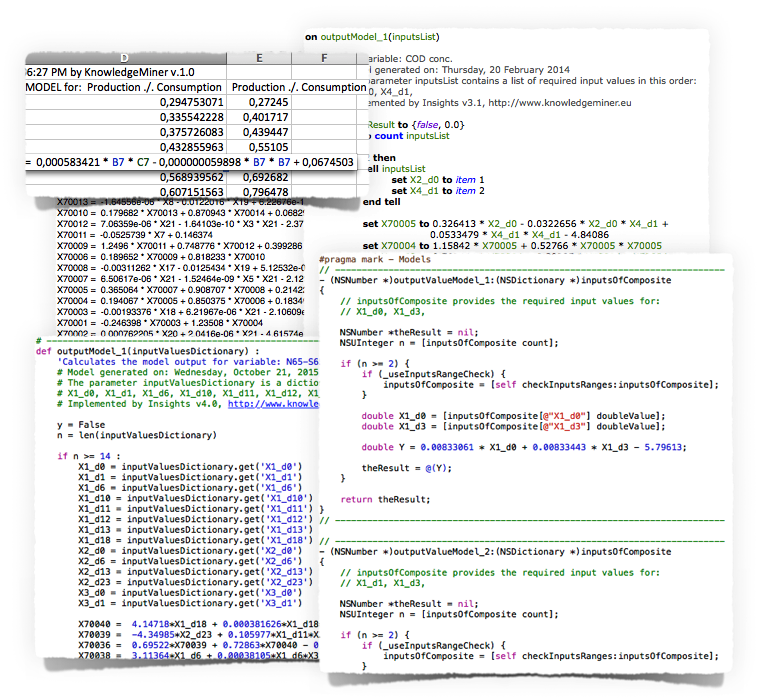 I also like the fact that it generates sets of equations that the user can review with detailed understanding of the interactions and dependencies of each variable. Also, the algorithm(s) behave surprising well under extreme conditions for certain complex dynamical systems. Congratulations for your excellent work." Extract plain text from any HTML code in the blink of an eye. Thousands of professionals count on Strip HTML: it captures and cleans up text from any webpage and .html file, transforming it from HTML to plain text. Removes code tags and restores the page’s text, ready to be reused in other documents. In addition, it magically creates a clear and accurate list of all links and media in the page. With Strip HTML it’s really easy to extract HTML text using the drag and drop function: just drag a .html file, web address or a portion of code in the application and Strip HTML does the rest. No need to click! 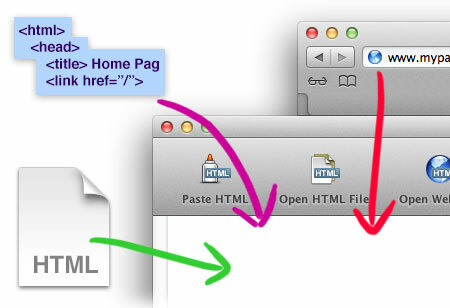 Just copy your portion of HTML code, use the Strip Clipboard function in Strip HTML and paste your code-free text. Copy, Clean-up and Paste. Doesn’t get any faster! One of the functions you’ll appreciate most in Strip HTML is a real breakthrough. Copy HTML text from any source – the text will already be cleaned up of any HTML tags when you paste it to the main field. And with Strip HTML you don’t need to work from an entire HTML page, since you can paste any part of it. Strip HTML can instantly extract links and media from a page, removing them from the text and placing them in a convenient list in the application’s lateral bar. So you can see the plain text on one side and the resources on the other: everything in its proper place. Feed the application any HTML, whether it’s a portion of code, a file from your Mac, or even a web address, dragging it directly from Safari! Strip HTML is a “HTML-omnivorous” app! 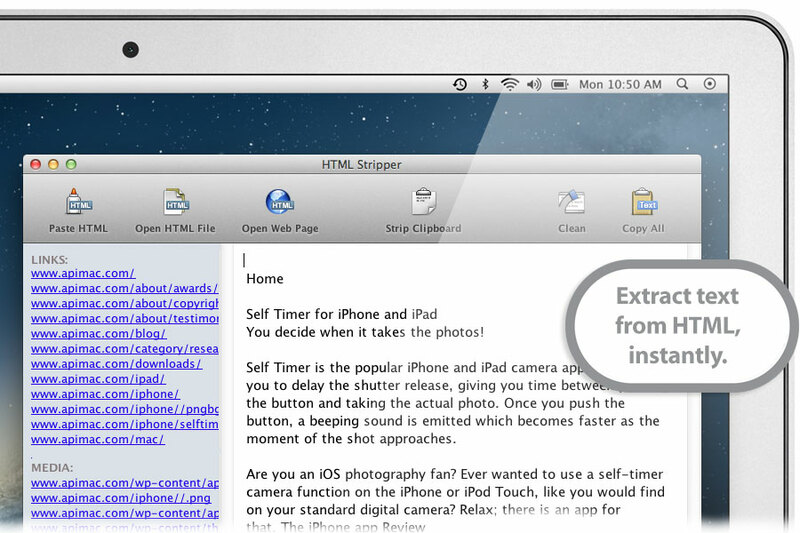 Strip HTML cleans up any HTML code tags, transforming the contents into plain text, grouping together links and media in the page in a convenient list. It’s a “HTML-omnivorous” app: cleans up text from .html files, web addresses and portions of code! Easily & Efficiently Recover Deleted WhatsApp Messages, Photos and Contacts! With Tenorshare WhatsApp Recovery for Mac, you can retrieve WhatsApp chats (texts, photos, videos) from iPhone, iPad and iPod touch. To save time, it provides features to preview and optionally recover WhatsApp messages and contacts. The following paragraphs describe 3 of the greatest parts of this tool. Maybe your WhatsApp messages are lost by error deletion, iPhone damage, WhatsApp update, iPhone factory settings reset or any other reasons. Whatever the case may be, you can always get back the lost WhatsApp messages and view them in clear output files. Exported messages on your computer can be saved in 3 formats: .xls, .txt and .xlm. Media files like photos and videos will be exported in their original formats. It comes with 2 recovery modes: Recover from iOS device and restore from iTunes backup. Recover from iOS device – With this mode, even if you have never backed up iOS devices before, you still have a shot to get back lost WhatsApp chat history. Restore from iTunes backup – When your device is not available (for instance, iPhone is lost), this mode could help you extract iTunes backup for lost WhatsApp chats. The WhatsApp Recovery for Mac is a great tool for all your iOS devices. iPhone 5S, iPhone 5C, iPhone 5, iPhone 4S, iPhone 4, iPhone 3GS, etc. iPad Air, iPad mini with Retina Display (iPad mini 2),iPad mini, iPad 4 (iPad with Retina Display), iPad 3 (the New iPad), etc. iPod touch 5G, iPod touch 4G, iPod touch 3G, etc.